Accudyne recently installed an Automated Stringer Former for converting flat laminates into double omega stringer sections for the Airbus A350. 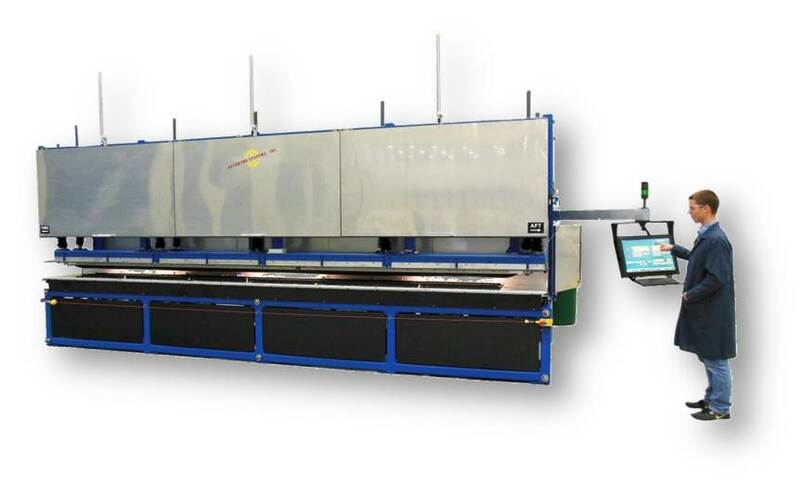 The custom machine accepts laminates produced from unidirectional tape and/or woven fabric. The stringers are made using a specialized process involving heating, forming, and cooling cycles. The total process takes less than two hours to produce a stringer. Accudyne has experience forming both single and double-omega stringer profiles up to 457 mm (18 inches) wide and 70 feet (21.3 meters) long.